Most people think of New York when recalling the “Miracle on the Hudson,” the improbable landing of US Airways Flight 1549 on the Hudson River in which all 155 passengers and crew survived. But the plane was bound that day for Charlotte, and it now resides here as the centerpiece of the Carolinas Aviation Museum. 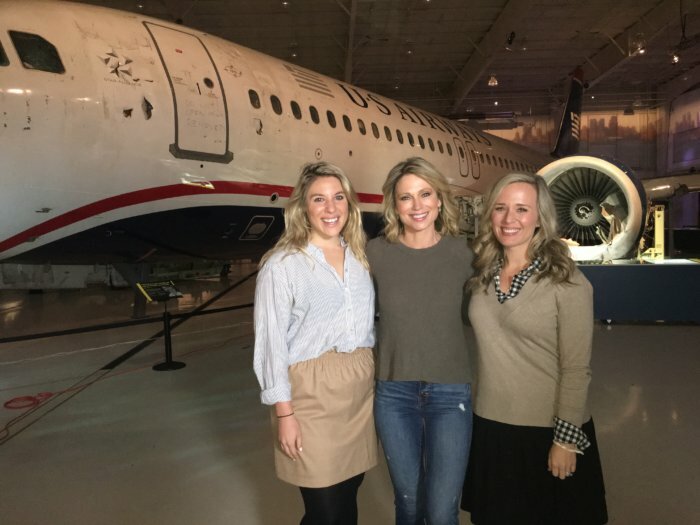 So it was only fitting that the museum hosted the 10th anniversary of this historical moment, with LGA driving nationwide visibility for the event. 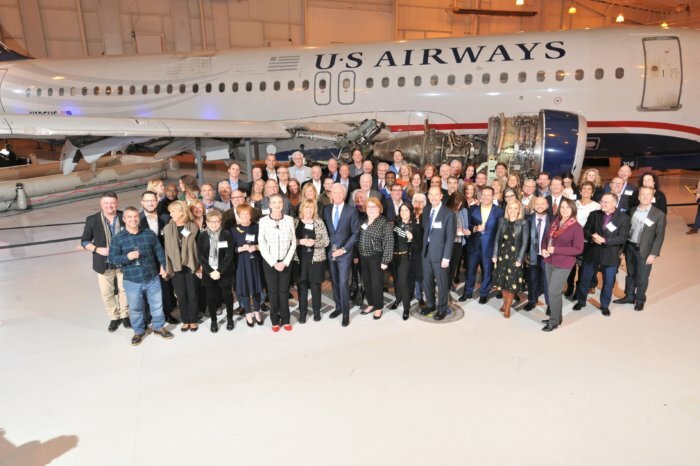 The day included a luncheon attended by the entire flight crew, including Captain Chesley “Sully” Sullenberger, and more than half the passengers aboard the flight, along with hundreds of family and friends. At 3:31 p.m. — the exact moment the plane touched down on Jan. 15, 2009 — survivors gathered at the tail of the plane for a moving champagne toast commemorating 10 years of life none of them thought they would have. 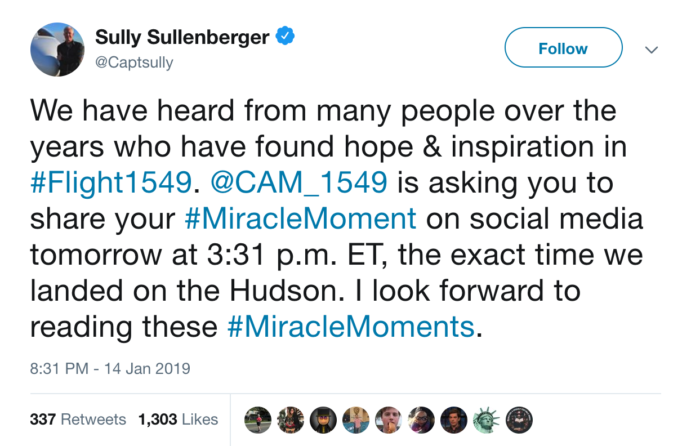 LGA also developed a social media campaign that encouraged the public to tweet miracles from their own lives at exactly 3:31 p.m., using the hashtag “#MiracleMoment.” The effort reached more than 3.3 million Twitter users, demonstrating the inspirational power of that captivating event 10 years ago.